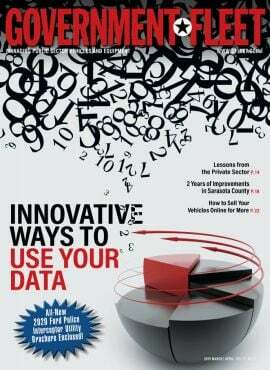 Trucks are the back bone of most commercial fleets, and the coming year’s models illustrate this in numerous ways. While weight continues to fall and fuel efficiency continues to increase, overall performance of 2015-MY trucks continues to improve across all of the segments. For 2015, Ford is offering new version of several F-Series trucks, including the F-150, F-Series Super Duty, and the F-650/F-750. The 2015 Ford F-150 is equipped with a twin-turbo 2.7L EcoBoost V-6, which produces 325 hp and 375 lb.-ft. of torque, improving the power-to-weight ratio of the 2015 truck by 15 percent over the 2014 5.0L V-8-equipped F-150 with similar torque output, thanks to vehicle lightweighting, according to the automaker. 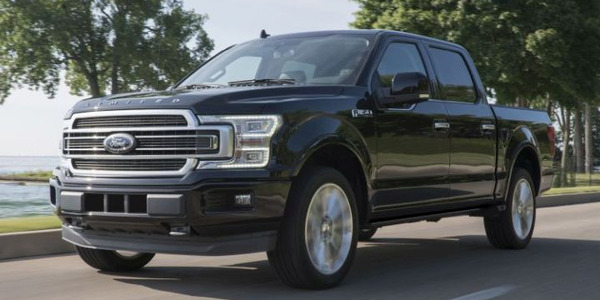 The 2015 F-150 is approximately 700-pounds lighter than the previous year’s model partly through the use of high-strength steel in the frame and high-strength, military-grade aluminum alloy in the cab and box. The 2.7L EcoBoost 4x2 has a maximum payload rating of 2,250 pounds and a maximum tow rating of 8,500 pounds. The 2015 F-150 is also available with a 3.5L V-6 with twin independent variable camshaft timing, producing 283 hp and 255 lb.-ft. of torque, and delivering 7,600 pounds of towing capacity and 1,910 pounds of payload capacity. The 2015 Ford F-Series Super Duty (F-250 to F-450) will be equipped with a 6.7L Power Stroke V-8 turbo diesel producing 440 hp and 860 lb.-ft. of torque, and an increase of 40 hp and 60 lb.-ft. of torque from the previous model-year. The F-450 has a maximum fifth-wheel/gooseneck towing capacity of 31,200 pounds and a GCWR of 40,000 pounds. The F-350 increases its maximum fifth-wheel/gooseneck towing capacity to 26,700 pounds and its GCWR to 35,000 pounds. The F-650/F-750 will be offered in three cab styles: Regular Cab, SuperCab, and Crew Cab; and three models: straight frame, dock height, and an all-new dedicated tractor model for heavy towing. The F-650/F-750 will be equipped with a 6.7L Power Stroke V-8 diesel paired with a commercial-grade 6-speed 6R140 automatic transmission with available power take-off provision to run accessories in the field, a dump body, crane, or other vocational equipment. For 2015, Ram Trucks will be updating its lineup of light- and heavy-duty pickups as well as chassis cab trucks. For 2015-MY, the Ram 1500 will be equipped with a 3.0L V-6 EcoDiesel, which produces 240 hp and 420 lb.-ft. of torque, and the Pentastar 3.6L V-6, which produces 305 hp. The 3.0L V-6 has a fuel-economy rating of 28 mpg and the 3.6L has a fuel economy rating of 25 mpg. The 3.0L is matched to the TorqueFlite 8-speed automatic transmission. The Ram 1500 is also available with a 5.7L HEMI V-8 with fuel saver technology and VVT, which produces 395 hp and 410 lb.-ft. of torque. The Ram 2500 and 3500 Heavy Duty models come standard with the 5.7L HEMI V-8, which produces 383 hp and 400 lb.-ft. of torque. The engine is mated to a 66RFE 6-speed automatic transmission. Also available is a 6.4 HEMI which produces 410 hp and 429 lb.-ft. of torque. The available 6.7L Cummins Turbo Diesel I-6 is available in three versions. The first version is paired with Ram’s segment-exclusive 6-speed manual transmission, which features a wear-compensating clutch and a dual-trunnion shift tower, and delivers 350 hp and 660 lb.-ft. of torque. The second option matches the Cummins to the 68RFE 6-speed automatic transmission. The diesel engine produces 370 hp and 800 lb.-ft. of torque when equipped on the Ram 2500. Finally, the 6.7L Cummins High-Output Turbo Diesel I-6 for Ram 3500 is paired with the Aisin 6-speed automatic transmission (AS69RC), and produces 385 hp and 850 lb.-ft. of torque. The Ram Power Wagon comes equipped with a 6.4L HEMI V-8 engine. The 2015-MY Ram 2500 and 3500 offer towing up to 17,970 pounds for the Ram 2500 and 30,000 pounds for the Ram 3500. The Ram 3500 will have a maximum payload rating of 7,320 pounds. For 2015-MY, the Ram 3500, 4500, and 5500 Chassis Cab trucks will feature a number of upgrades. 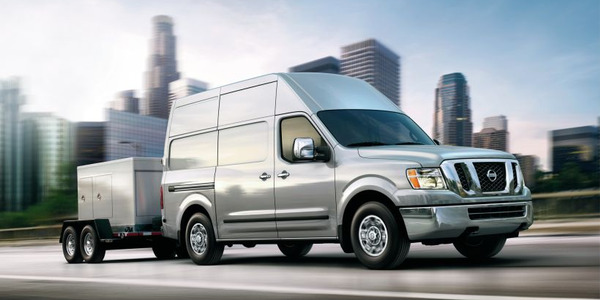 The Chassis Cabs equipped with the standard 6.4L HEMI engine is available with a 6-speed automatic transmission, and can be set to maximum speed settings. Also available is a 6.7L Cummins Turbo Diesel 16 valve engine. 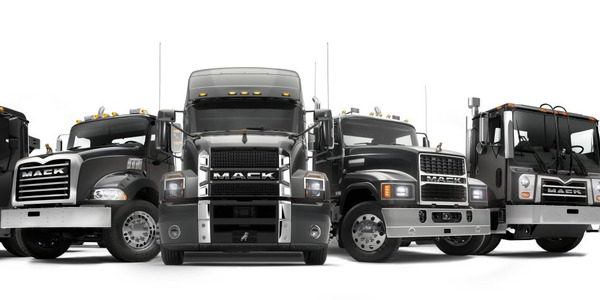 The 3500 Chassis Cab is also available with a 5.7L HEMI V-8 gasoline engine, which produces 383 hp and 400 lb.-ft. of torque, and two versions of an available 6.7L Cummins diesel engine, which produces either 320 hp and 650 lb.-ft. of torque or 325 hp and 750 lb.-ft. of torque. A new Max Payload Package will also be offered on the 6.4L HEMI-powered Ram 5500 models, and increases the GVWR to 19,500 pounds on the 84-, 108-, and 120-inch wheelbase models. The standard GVWR will increase on all 60-inch wheelbase Ram 4500 and 5500 Chassis Cab Trucks. Gasoline and diesel-powered 4500 models’ GVWRs will increase by 500 pounds to 16,500 pounds. Gasoline-powered 5500 models’ GVWRs wil increase by 1,000 pounds to 19,000 pounds while the diesel-powered models will increase by 250 pounds to 19,000 pounds. 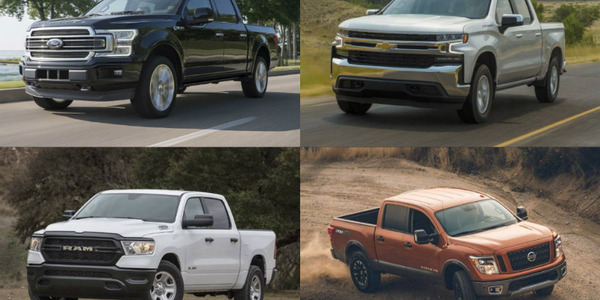 For 2015, Chevrolet and GMC is offering more options for its truck customers with the addition of their mid-size trucks, the Colorado and Canyon, and have upped the towing capacities of their light-duty Silverado and Sierra pickup trucks. 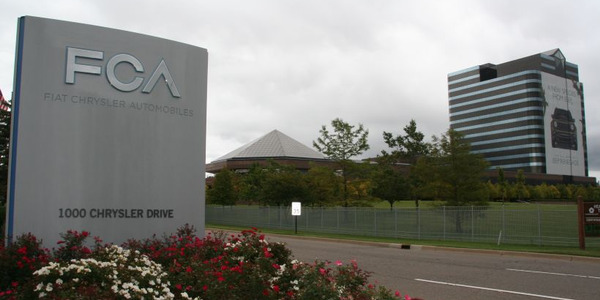 The 2015-MY Chevrolet Colorado will be equipped with a standard 2.5L I-4, which produces 200 hp and 191 lb.-ft. of torque. A 3.6L V-6, which produces 305 hp and 269 lb.-ft. of torque, will also be available. Each engine is mated to a 6-speed automatic transmission. The 2.5L engine is also available with a 6-speed manual transmission on the extended cab and 2WD work truck models. In 2016, the Colorado will also be available with a Duramax 2.8L I-4 turbodiesel. When properly equipped, the Colorado is expected to have a payload and trailering capacity of more than 6,700 pounds. The Colorado is available in three trim levels WT, LT, and Z71 with either 2WD or 4WD. The GMC Canyon mid-size pickup will be equipped with a standard 2.5L I-4 engine, which produces an estimated 200 hp and 191 lb.-ft. of torque. The available 3.6L V-6 produces 305 hp and 269 lb.-ft. of torque. All models are matched with a 6-speed automatic transmission. A 6-speed manual transmission is also available with the 2.5L engine in the base extended cab/2WD models. For 2016, the Canyon will be available with a Duramax 2.8L turbodiesel. The Canyon has a payload capacity of at least 1,450 pounds and a maximum trailering capacity — when properly equipped — of at least 6,700 pounds. The Canyon is offered in base, SLE, and SLT trims and in 2WD and 4WD. For 2015-MY the Chevrolet Silverado and GMC Sierra models equipped with the 6.2L EcoTec3 V-8 will be matched with a new Hydra-Matic 8L90 8-speed automatic transmission. The 6.2L EcoTec3 produces 420 hp and 460 lb.-ft. of torque and offers maximum available trailering of 12,000 pounds. The Silverado’s standard 4.3L EcoTec3 V-6 will have a maximum trailer rating of 7,600 pounds and for the available 5.3L EcoTec3 V-8 it will be 11,200 pounds. 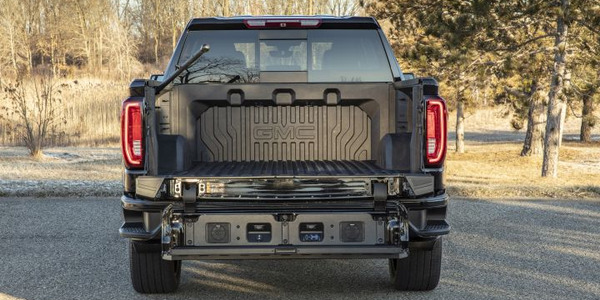 The 2015 GMC Sierra will maintain its 12,000 pound maximum rating for the Double Cab 2WD configuration equipped with the available 6.2L V-8 engine and the available Max Trailering Package. The 6.2L EcoTec3 V-8 produces 420 hp and 460 lb.-ft. of torque. The Sierra models equipped with the standard 4.3L EcoTec3 V-6 and available 5.3L EcoTec3 V-8 will offer trailer ratings of 7,600 pounds and 11,200 pounds for the 4.3L and 5.3L respectively. For 2015-MY, Hino will continue to offer its Class 5 and Class 6 models. The Class 5 195 Cab-over utilizes the Hino J05-Series 5.0L diesel engine, which produces 210 hp and 440 lb.-ft. of torque. The truck is available in a single cab and a double cab (crew cab) configurations. The 195h Class 5 diesel-electric cabover also uses the Hino J05-Series engine with the same rating as the 195 model. This truck is powered by a parallel hybrid system that contains a 288V Ni-MH battery pack, which provides up to 258 lb.-ft. of torque from the traction motor. Both models utilize the Aisin A465 6-speed automatic transmission. Hino offers four Class 6 models: 258, 258ALP, 268, and 268A. All Class 6 models utilize the Hino J08-Series 7.8L engine. All models are standard with the 220 hp, 520 lb.-ft. of torque engine rating. New for the 2015-MY is an optional 260 hp, 660 lb.-ft. rating on the 258ALP and 268A models. All Class 6 models utilize the Allison 2000 Series Transmissions. The Class 7 Model 338 utilizes the Hino J08-Series 7.8 LTR engine rated at 260 hp and producing 660 lb.-ft. of torque. The 338 comes standard with the Allison 2500RDS transmission. The Allison 3000 Series transmission is available as an option. 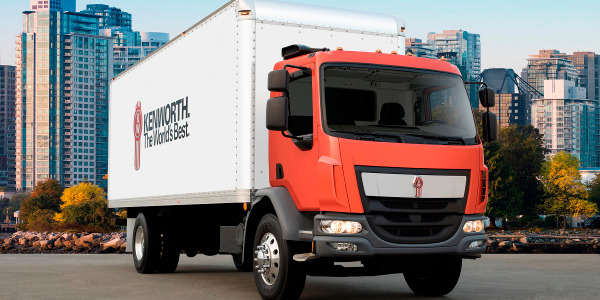 For 2015, Isuzu Commercial Truck of America’s N-Series low-cab forward (LCF) line of Class 3-5 trucks will offer options for a range of applications. The lineup includes two EPA-certified diesel engines and a gasoline engine alternative. The 2015 Isuzu NPR Gas LCF truck has a GVW of 12,000 pounds and a wheelbase of 109-176 inches. It is equipped with a 6.0L Vortex V-8 gasoline engine mated to a 6L90 Hydra-Matic 6-speed automatic transmission with double overdrive, which produces 297 hp and 372 lb.-ft. of torque. The 2015 Isuzu NPR-HD Gas LCF truck has a GVW of 14,500 pounds and a wheelbase of 109-176 inches. It is equipped with a 6.0L Vortex V-8 gasoline engine mated to a 6L90 Hydra-Matic 6-speed automatic transmission with double overdrive, which produces 297 hp and 372 lb.-ft. of torque. ]The Vortec engine is CNG/LPG alternative-fuel capable. The NPR’s currently available 2014 ECO-MAX model is available with an Isuzu 3.0L (4JJ1-TC) turbocharged intercooled diesel engine. The 2015 Isuzu NPR-HD LCF truck has a GVW of 14,500 pounds and a wheelbase of 109-176 inches. The 2015 Isuzu NPR-XD LCF truck has a GVW of 16,000 pounds and a wheelbase of 109-176 inches. The 2015 Isuzu NQR LCF truck has a GVW 17,950 pounds and a wheelbase of 109-200 inches. The 2015 Isuzu NRR LCF truck has a GVW 19,500 pounds and a wheelbase of 109-212 inches. The NPR-HD, NQR, NPR-XD and NRR are all equipped with a 5.2L Isuzu 4HK1-TC turbocharged intercooled diesel engine mated with an Aisin A465 6-speed double overdrive automatic transmission with lockup torque convertor plus PTO opening, which produces 215 hp and 452 lb.-ft. of torque. With its K270 Class 6 medium-duty cabover truck, Kenworth is targeting fleets in pick-up and delivery operations, food and beverage companies, furniture hauling, landscape businesses, and street sweeping and striping. The Kenworth cabovers offer tight turning and a shorter overall length ideal for city and neighborhood applications, according to the truckmaker. Compared to a typical medium-duty conventional truck, the K270 offers a 63.4-inch BBC with an extra 45 inches of payload room, and a 35-foot overall length, according to the company. A 6.7L PACCAR PX-7 engine powers the truck that provides 220 hp and 520 lb.-ft. of torque mated to an Allison 2100HS 5-speed transmission. 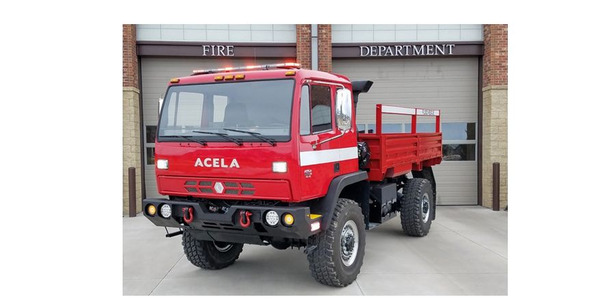 The truck is available with wheelbases ranging from 142 to 242 inches in 12-inch increments, and can accommodate bodies from 16 to 28 feet. For 2015, the International Durastar will be available with the N9 engine with SCR. The N9 produces 275 hp and 860 lb.-ft. torque up to 330 hp and 960 lb.-ft. of torque. It is also available with a Cummins ISB6.7, which produces 200 hp and 520 lb.ft. of torque up to 300 hp and 600 lb.-ft. of torque. The MaxxForce DT produces 215 hp and 560 lb.ft. of torque up to 300 hp and 660 lb.-ft. of torque. The MaxxForce 7 produces 240 hp and 620 lb.-ft. of torque up to 300 hp and 660 lb.-ft. of torque. The 2015-MY International Durastar is available with an Eaton 5-, 6-, or 10-speed manual transmission, an Eaton UltraShift 5- or 6-speed Automated Manual, and an Allison 1000, 2000, 3000 Series (HS, EVS, RDS) Automatic, or an Allison 3000 TRV Series Automatic. The Durastar has a GVW of 23,500 to 60,000 pounds. The 2015-MY International TerraStar 4x4 is equipped with a MaxxForce 7 engine, which produces 300 hp and 660 lb.-ft. of torque, and a commercial-duty Allison Optimized 1000 Series transmission, including the available 1350 model. The The International TerraStar, 4x4 is available in three cab configurations: Day Cab, Extended Cab, and 6-Man Crew Cab. It has a GVW of 16,000 to 19,500 pounds. Peterbilt’s Class 6 and 7 medium-duty cabover Model 220 was introduced this year and is equipped with the PACCAR PX-7 Engine with up to 260 hp and 660 lb.-ft. of torque. The standard automatic Allison transmission has a push-button shifter for easy engagement. Also standard is the electronic braking system which offers improved braking performance. 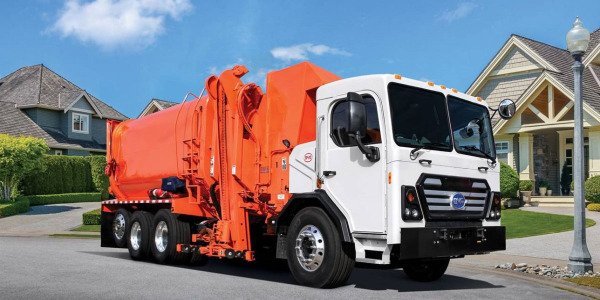 The Model 220 can be spec’d for a wide range of applications, including urban pick-up and delivery, construction, refuse and street sweeping and striping, according to the company. The company also offers a new clean frame rail package that optimizes chassis space and facilitates ease of body installation. The Model 220 can be equipped with bodies ranging from 16 to 28 feet. The vehicle’s curb-to-curb turning radius is reduced by 16 percent and maneuverability is further enhanced with a bumper-to-bumper spec as short as 35 feet — designed for urban operation and compliance with stricter municipal length laws. Even at the shortest wheelbase, the Model 220 features an additional 45 inches of payload room. For 2015-MY the Nissan Frontier will be available with a 261 hp 4.0L DOHC V-6 or a 152 hp 2.5L DOHC inline four-cylinder engine. It will have a GVWR of between 4,690 to 5,816 pounds depending on the model’s configuration. For 2015-MY the Nissan Titan will once again be available in King Cab and Crew Cab body styles with a choice of 4x4 and 4x2 drive configurations and four trim levels. The Titan will be equipped with a 5.6L DOHC 32-valve V-8 rated at 317 hp and 385 lb.-ft. of torque. It has a GVWR of between 7,000 and 7,200 pounds depending on the wheelbase length and overall model configuration. While Toyota has yet to release its data for its 2015-MY Tacoma, the currently available 2014-MY model is equipped with a 2.7L inline four-cylinder DOHC, which produces 159 hp and 180 lb.-ft. of torque, or the 4.0L DOHC EFI V-6, which produces 236 hp and 266 lb.-ft. of torque. Information for the 2015-MY Tundra has yet to be released, but the 2014 model is available with a 4.0L V-6 DOHC EFI V-6, which produces 270 hp and 278 lb.-ft. of torque, a 4.6L DOHC EFI V-8, which produces 310 hp and 327 lb.-ft. of torque, or a 5.7L DOHC EFI V-8, which produces 381 hp and 401 lb.-ft. of torque. The Freightliner M2106 medium-duty truck is designed for a variety of applications. The M2106 is available with either a Cummins ISB or Cummins ISL engine, which produces between 200 and 350 hp. It is available with either an Eaton Fuller 5,6,8 ALL, 9ALL, 9, or 10-speed manual; an Eaton Ultrashift 5- or 6-speed automated transmission, or Allison automatics. It can be outfitted with either Detroit or Meritor axles. 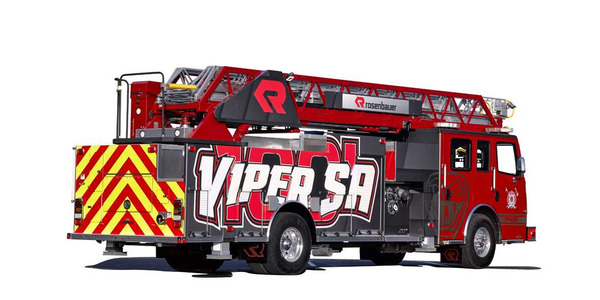 The M2106 has a GVWR of up to 56,000 pounds. The M2106 has an available BBC or 106 inches, 132 inches, or 154 inches. 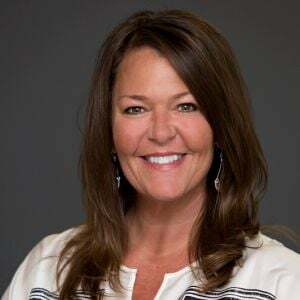 The M2106 is available in a number of configurations to support a wide range of bodies and chassis-mounted equipment, according to Mary Aufdemberg, director of product marketing for Freightliner Trucks. Mitsubishi Fuso Truck of America offers the 13,200 GVW Canter FE130, 14,050 pounds GVW Canter FG4X4, 15,995 pound Canter FE160 and FE160 Crew Cab, and the 17,995 pound GVW Canter FE180. Each model is powered by a 4P10(T5) DOHC, four-cylinder engine, which produces 161 hp and 295 lb.-ft. of torque.